Analogue Bubbles’ second night went off with a pop, Getintothis’ Aaron Farrell is forever blowing bubbles. 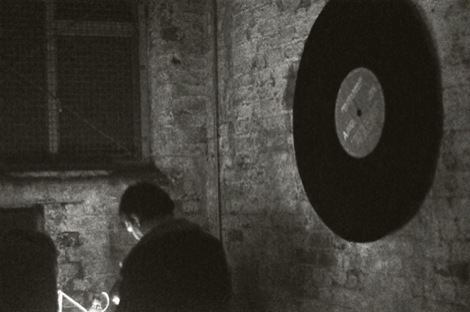 At last, the second installment of Analogue Bubbles; the night that gives you live electronic performances and recorded dance music through its purist and physical form – a gramophone record. We were excited for this one because it was a Fly By Night Music Showcase, presenting homegrown and international talent and allowing them the chance to grace the cobbles of 24 Kitchen Street. The busiest DJs in Liverpool, Allen & Hutch, started proceedings with a nice blend of visceral and engaging house jams. Before midnight, we see a live performance project curated by Ryan Blakely called Lantus. After experiencing many engrossing performances from Lunar Modular at Deep Hedonia’s ARK Nights and a memorable presentation at the Oneohtrix Point Never show, we were more than looking forward to see Ryan Blakely’s solo effort. Onlookers were glued to the hardware and synthesizers as Lantus churned out some melodic and upbeat techno. Midnight arrives and the dance floor is capacitated with new arrivals as Lorenzo, Fly By Night’s label head, bangs out compositions of raw textured deep house with layers of soulful vocals. His imprint is beginning to build an impressive array of releases from the likes of Dubble D (aka Moodymanc), Mayo Souloman and Riccio. There was no headline main act but if we had to give it to someone it would have to be Giorgio Luceri’s immersive set. Luceri, who has also released recordings on the veteran Illinois imprint Mathematics alongside the likes of Merseyside’s own John Heckle and founded by the esteemed Jamal Moss (Hieroglyphic Being), transformed head boppers into arm and leg wagglers. His sound pays influence to the sounds of Detroit and Chicago intertwined with his native sounding Italo-disco, an aesthetic synonymous to the experimentation of Mathematics. 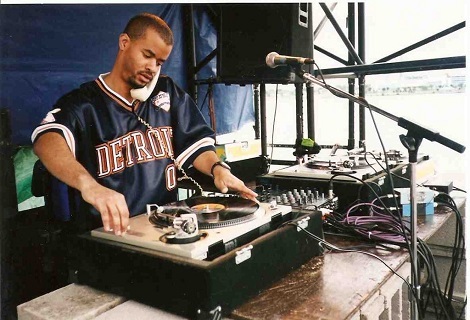 His debut UK set consisted of party bangers most familiarly Omar-S’s Wayne Hill County Cops that energised the crowd. Lastly, a back-to-back set concluded the Fly By Night showcase with Christopher Barker and Andy Ash. Christopher Barker is one half of Deep Space Orchestra, who have released records on several notable labels including Delusions of Grandeur and Quitessentials. Their sound has become widely appreciated with prominent House imprints like Local Talk featuring them on their compilation albums. Andy Ash has released EPs on Merseyside’s Scenery Records. His sound, like Barker, shares an instinctive approach to house music. It was a soulful ending to the night. It’s nights like these bringing a new lease of life to Liverpool’s underground electronic scene.